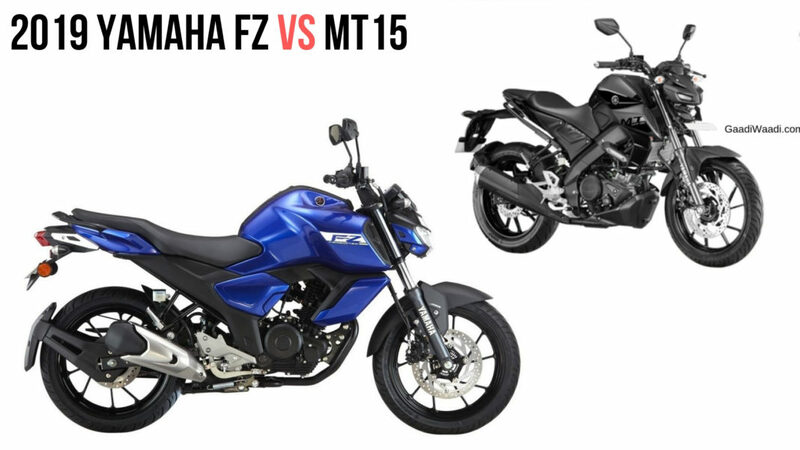 Yamaha FZ-15 V3.0 VS MT-15 Comparison - Which One To Buy? Home Bikes News Yamaha FZ-S V3.0 VS MT-15 Comparison – Which One To Buy? Yamaha launched the FZ-S V3.0 in India in January followed by the much-anticipated MT-15 in March 2019. 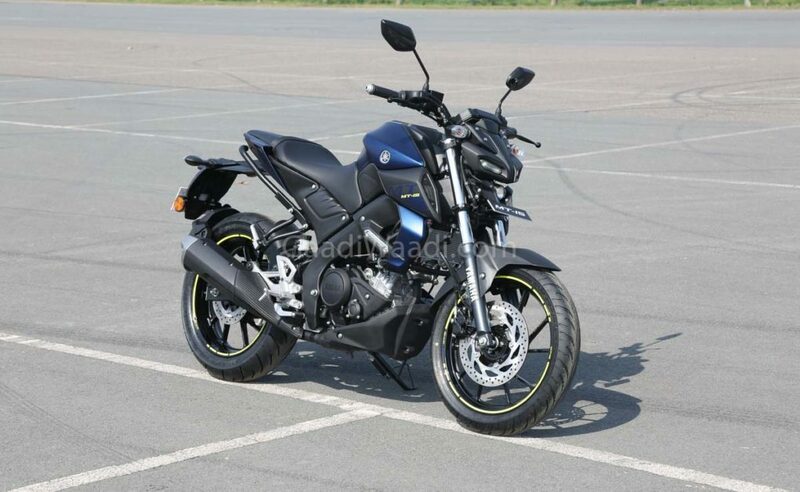 For those of you who are still not aware this is the third generation FZ that was launched earlier this year. The MT-15, on the other hand, is comparatively a new motorcycle based on the YZF-R15 V3.0. Yamaha has decided not to play much with the overall design of the new FZ but still, the cosmetic changes made to the motorcycle help it looks dramatically different than its predecessor. The upgrades and changes made to the new FZ include a new full LED headlamp, a redesigned fuel tank which now gets extended tank shrouds. The design is much more in line with the slightly larger FZ-25. The motorcycle does look muscular and brawny like its predecessor but also gets some new modern touches as well. The MT-15, on the other hand, is a naked streetfighter which will be sold in India via the CBU route. The motorcycle takes its styling inspiration from the MT range of motorcycles sold globally. 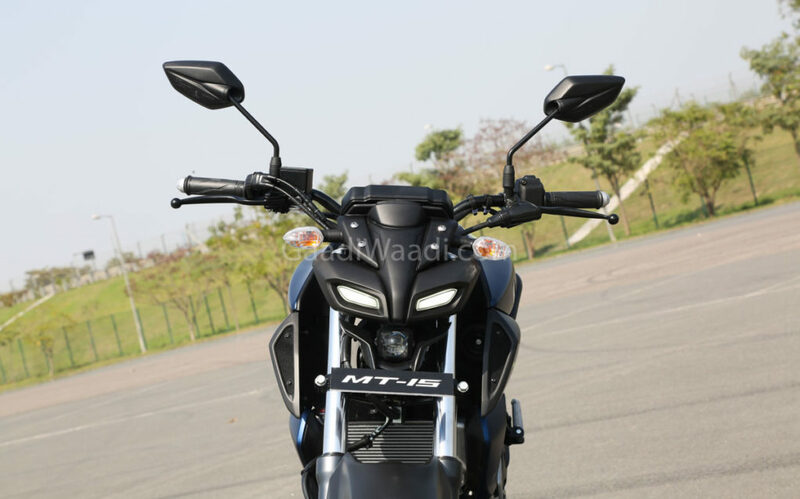 The MT-15 gets an aggressive, muscular styling and a sharp looking twin LED pilot lamp. Just like the FZ the MT-15 gets a muscular looking fuel tank as well. 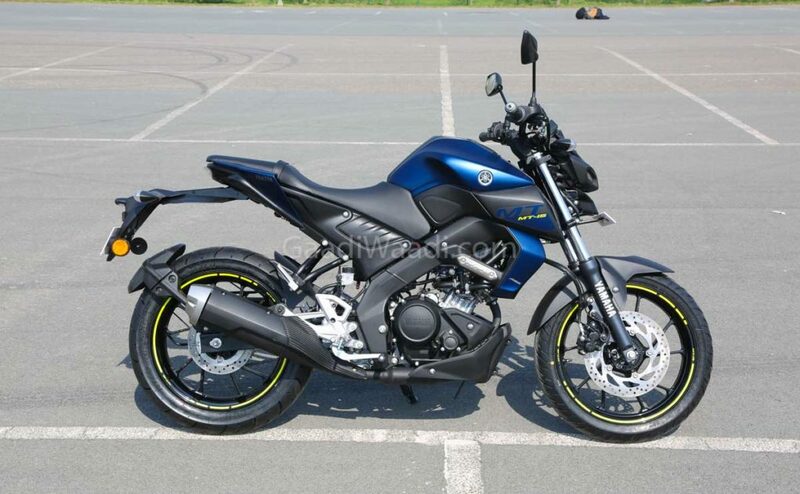 The motorcycle is currently available with two colour options – dark matte blue and metallic black. Unfortunately, the Indian spec motorcycle also misses out on the front USD forks which by the way is available with the Indonesian spec model. The 2019 Yamaha FZ-S V3.0 gets some significant updates to the engine. The motorcycle is powered by a 149cc single-cylinder, fuel-injected engine. The unit is tuned to produce about 13.2 bhp of peak power and 12.8 Nm of peak torque and is paired with a 5-speed gearbox. The MT-15 like we already mentioned above is based on the YZF-R15 V3.0 and thus it is powered by the same 155cc, liquid cooled, SOHC engine with Variable Valve Actuation System. The engine has been tuned to produce around 19 Bhp of peak power and 14.7 Nm of peak torque. The engine is paired with a 6-speed gearbox and also gets a slipper clutch as standard. Although the MT-15 produces the same amount of power and torque as the YZF-R15 V3.0 Yamaha has changed the gear ratios and also the ECU settings to extract a better low-end performance which will be useful within city traffic. The FZ-16 V3.0 relies on a 267 mm disc brake towards the front and a 220 mm disc brake towards the rear, It gets a single channel ABS as standard for the safety of the rider. The motorcycle relies on a 41 mm telescopic forks at the front and a monoshock setup at the rear. The MT-15 relies on a 282 mm disc brake towards the front and a 220 mm disc brake towards the rear. Despite its high pricing, the MT-15 also gets on a single channel ABS for the safety of the rider instead of a dual channel unit. The motorcycle relies on a telescopic suspension towards the front and a monoshock setup towards the rear. 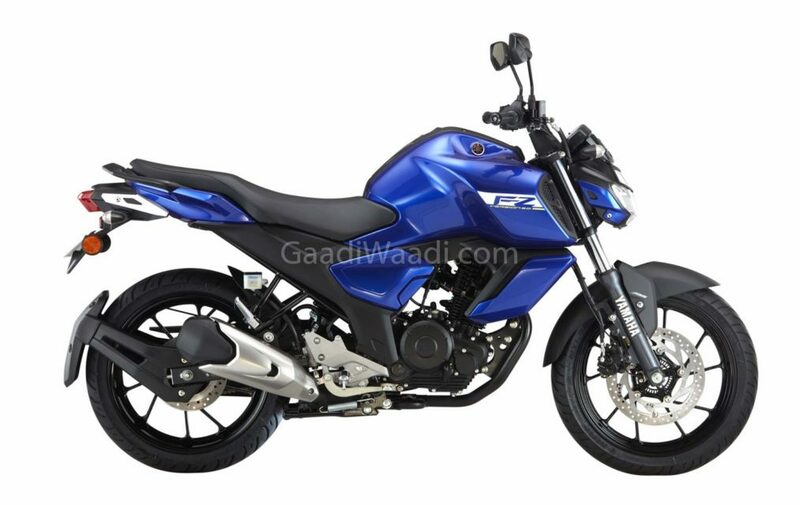 The third generation FZ has been launched in India priced at Rs.95,000 and FZ-S is priced at Rs. 97,000 (ex-showroom, Delhi). The MT-15, on the other hand, is priced at Rs. 1.36 Lakhs ( ex-showroom, Delhi). 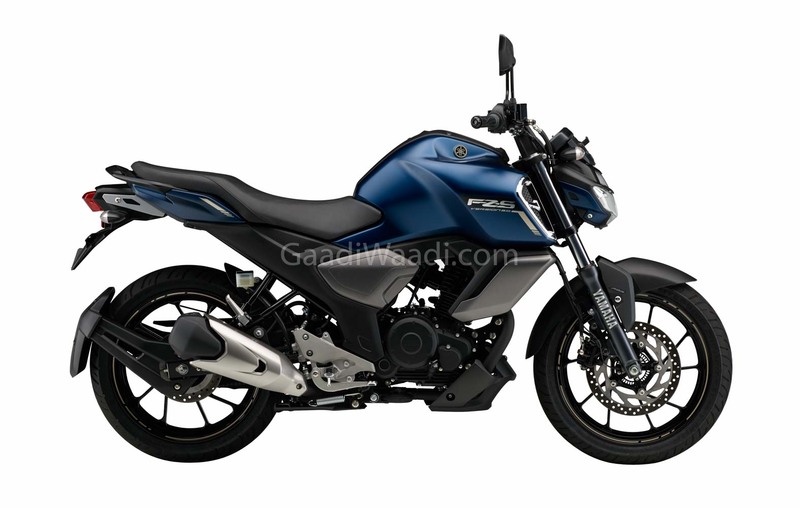 If we compare both the motorcycles on the basis of their styling then there is no doubt that the MT-15 is a much better-looking motorcycle compared to the FZ-16 V3.0. The MT-15 gets a relaxed riding stance, unlike the R15 which it is based on. The only thing which is a bit disappointing is the fact that the MT-15 is priced on the higher side compared to the features it gets. However, if you want a motorcycle which you can also use for long rides beside riding within the city limit then the MT-15 is the right choice for you. The FZ-16 V3.0, on the other hand, is a proper commuter that is ideal for city commute only.